Lyndon Baines Johnson referred to himself as the “accidental president” when he assumed the office after the 1963 assassination of President John F. Kennedy. He had felt insignificant during the first three years of the Kennedy Administration. He would later tell his biographer that “the vice presidency is filled with trips around the world, chauffeurs, men saluting, people clapping, chairmanships of councils, but in the end it is nothing.” Johnson was a born politician, used to wielding real power. His father was a Texas state legislator. LBJ got his start working in FDR’s New Deal National Youth Administration. He was elected to the House of Representatives in 1937 and served there 12 years before moving on to the Senate where he served as Senate Minority Leader, Senator Majority Whip and finally six years as Senate Majority Leader. At 6’4” tall he towered over other most other politicians of his day and used his imposing height and “the Johnson Treatment”—aggressive coercion of powerful politicians to advance legislation. He intimidated opponents using a mixture of compliments, insults, pleas and threats. But he was also willing to compromise, both within his party and across the aisle. Something that seems to be sadly lacking in most of today’s most powerful politicians. All of Johnson’s virtues and flaws, doubts and fears, insults and threats are clearly shown in Robert Schenkkan’s play All the Way, receiving a stellar production as the opening salvo of Costa Mesa’s South Coast Repertory’s 53rd Season. 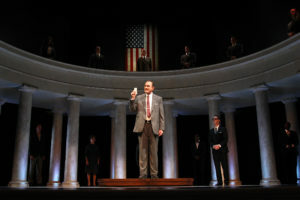 Director Marc Masterson has skillfully guided his large and exemplary cast through the three-hour political play that, although it premiered at the Oregon Shakespeare Festival in July, 2012, feels and sounds as if it was written yesterday as a treatise on the state of current American politics. There is even a line about people needing walls to protect and separate themselves from their neighbors. 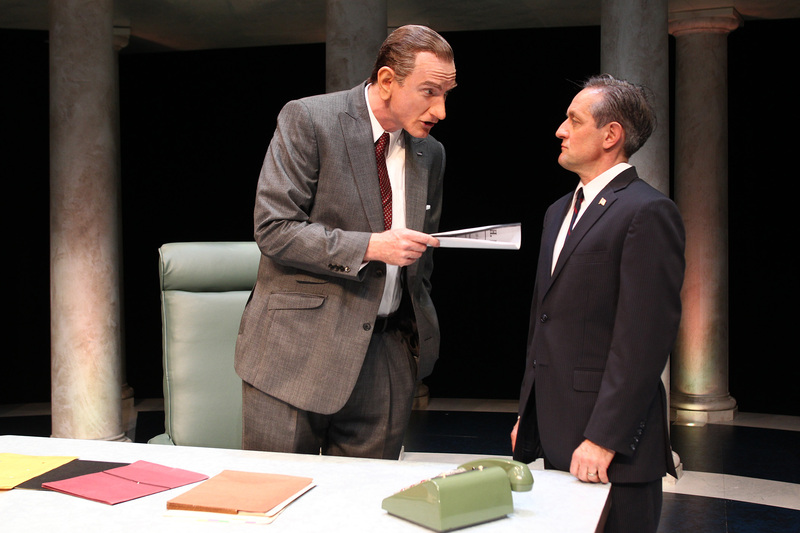 The play begins immediately after LBJ took the oath of office on Air Force One as it left Dallas to fly the body of the slain president back to the nation’s capital. LBJ was immediately thrust into not only trying to salve a grieving nation but deal with the myriad amount of legislation proposed by Kennedy but left stagnating in a do-nothing Congress. Johnson (a towering and impressive Hugo Armstrong) was also faced with the immediate necessity to begin a campaign to get re-elected to the office he had just assumed. Gov. George Wallace (Jeff Marlow) was already challenging him for the Democratic nomination while the scary specter of Republican Sen. Barry Goldwater loomed in the near future. He chose to buck his own party leadership and his deep Southern roots by pushing for passage of the Civil Rights Act, which would in effect end segregation of the races in the country. He enlisted the aid of Dr. Martin Luther King (Larry Bates) and other Black leaders such as Rev. Ralph Abernathy (Rosney Mauger), Roy Wilkins (Gregg Daniel), Bob Moses (Jordan Bellow) and Stokely Carmichael (Christian Henley) to lobby elected officials and to cool the tempers of militant protestors. 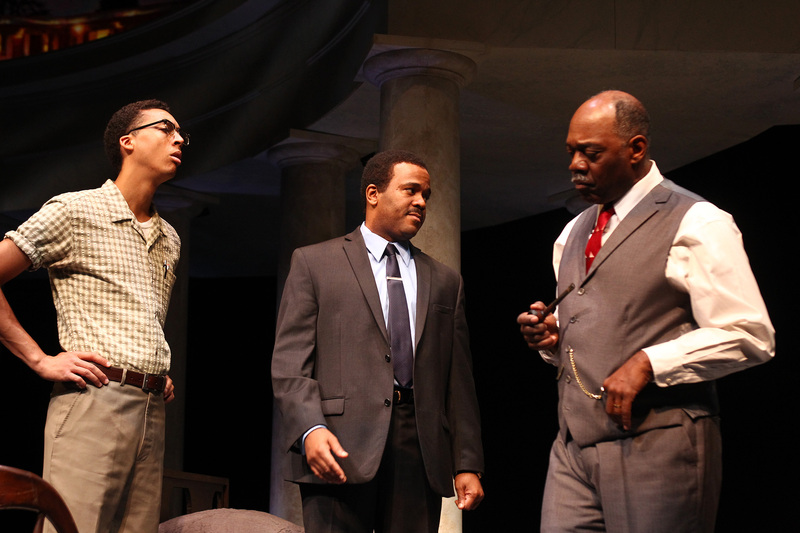 Schenkkan’s writing pulls the audience into this fascinating world of political maneuvering, keeps them on the edge of their seats as such opponents as FBI Director J. Edgar Hoover (Robert Curtis Brown), Sen. James Eastland (Bo Foxworth), Gov. Carl Sanders (William Francis McGuire), Sen. Strom Thurmond and Sen. Everett Dirksen (Hal Landon Jr.—most actors play more than one role) receive the “Johnson Treatment.” JD Cullum is a standout in the crowded cast as Sen. Hubert Humphrey, Johnson’s main whipping boy and eventual VP choice. 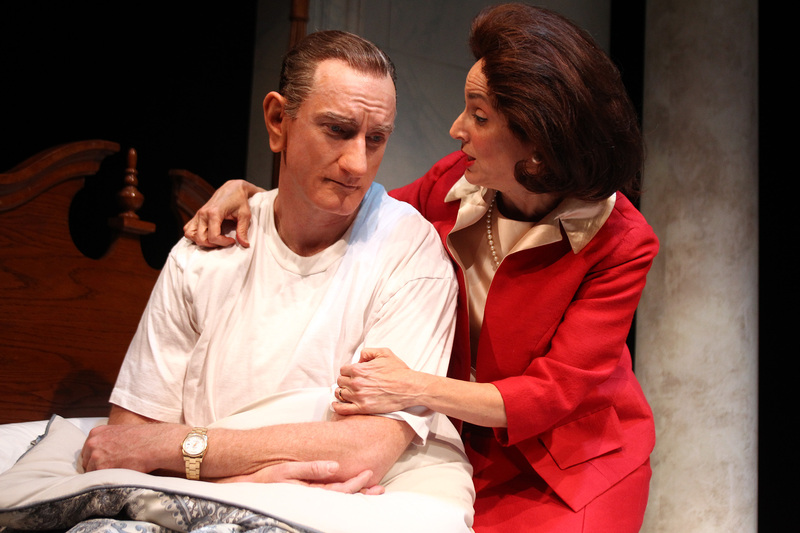 Nike Doukas as Lady Bird Johnson has a few cameo like scenes and then gives the play added depth and poignancy in a final scene where she encourages her nearly defeated husband. All the Way deservedly won the Tony Award in 2014 and is a brilliant piece of writing about a very volatile time in American history, populated by larger than life figures. Yet Schenkkan makes these political demagogues accessible human beings. Masterson earns kudos for keeping the pace running at a quick clip yet not losing a single nuance of the complicated dealings. Ralph Funicello’s columned scenic design sets the action in the halls of power and Jaymi Lee Smith’s lighting design sets the mood. All the Way should be required viewing for all prospective voters in this volatile election year. South Coast Repertory, 655 Town Center Dr. in Costa Mesa. 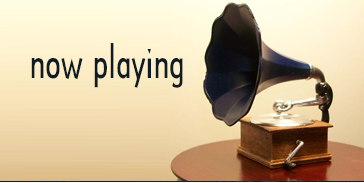 Ends Oct. 2. www.scr.org or 714-708-5555.